Manipulating pasture intake in dairy PMR systems with mixed ration and grazing management strategies. Poppi, Dennis, Fordyce, Geoffry, Panjaitan, Tanda, Dahlanuddin and Quigley, Simon (2011). Case study 2: Developing an integrated production system for Bali cattle in the eastern islands of Indonesia. In Beef production in crop-livestock systems: Simple approaches for complex problems (pp. 57-82) Canberra, ACT, Australia: Australian Centre for International Agricultural Research. Dahlanuddin, Dahlanuddin, Yulianto, T. B., Priyanti, A., Poppi, D. P. and Quigley, S. P. (2012) Weaning and supplementation increase liveweight gain of Bali (Bos javanicus) cattle of small-holder farmers in Central Lombok, Indonesia. Journal of Animal Production, 14 3: 173-179. Quigley, S., Moss, R. J. and Brock, I. (2000) Evaluation of inoculated Lablab silage for growing dairy heifers. Asian-Australasian Journal of Animal Sciences, 13 SUPPL. A: 87-90. Campbell, Angus, Hanks, J., Henning, J., Quigley, S., Naing Oo, K., Aung, A., Stür, W., Myint Thein, W., Myint, Y. Y., Min Latt, Z., Zaw Win, T. T., Naing Oo, L., Min Thein, S. and Poppi, D. (2014). Ruminant production research in the central dry zone of Myanmar. In: David S. Beggs, Proceedings of the XXVIII World Buiatrics Congress: Abstracts. WBC 2014: XXVIII World Buiatrics Congress, Cairns, QLD, Australia, (). 27 July–1 August, 2014. Dollemore, W., Quigley, S. P., Poppi, D. P. and McCosker, K. (2013). Change in liveweight of non-pregnant, mature Bos indicus cows of different lactational status over the dry season. In: E. Charmely, Proceedings: Northern Beef Research Update Conference 2013. Northern Beef Research Update Conference 2013, Cairns, QLD, Australia, (163-163). 12-15 August, 2013. Costa, D. F. A., Isherwood, P., Quigley, S. P., McLennan, S. R., De Souza, J., Gibbs, J., Sun, X. Q. and Poppi, D. P. (2013). Effect of lipid source on fatty acid profile in the rumen of cattle fed a tropical hay. In: 2013 Annual Meeting Abstracts: American Dairy Science Association®, American Society of Animal Science. JAM 2013: Joint ADSA-ASAS Annual Meeting, Indianapolis, IN, U.S.A., (667-667). 8-12 July, 2013. Costa, D. F. A., Isherwood, P., Quigley, S. P., McLennan, S. R. and De Souza, J. (2013). Effects of forage type and season on rumen parameters of grazing cattle. In: 2013 Annual Meeting Abstracts: American Dairy Science Association®, American Society of Animal Science. JAM 2013: Joint ADSA-ASAS Annual Meeting, Indianapolis, IN, U.S.A., (93-93). 8-12 July, 2013. Gonzalez-Rivas, P., Isherwood, P., Callaghan, M., Quigley, S. P., Begg, S. and Poppi, D. P. (2013). In vitro phosphorus solubility of different sources of phosphorus for cattle. In: E. Charmely, Proceedings: Northern Beef Research Update Conference 2013. Northern Beef Research Update Conference 2013, Cairns, QLD, Australia, (166-166). 12-15 August, 2013. Poppi, Dennis Paul, Costa, Diogo Fleury Azevedo, McLennan, Stuart, Quigley, Simon and Klieve, Athol (2013). Microbial protein production from tropical forages. In: The integration of knowledge in animal production. 50th Annual Meeting of the Brazilian Society of Animal Science, Campinas, SP, Brazil, (). 24-26 July 2013. Harper, K. J., Costa, D .F. A., Gulino, L.-M., Klieve, A. V., McLennan, S. R., Quigley, S. P. and Poppi, D. P. (2013). The association between liveweight gain and rumen microbial diversity in cattle. In: Proceedings: Northern Beef Research Update Conference 2013. Northern Beef Research Update Conference 2013, Cairns, QLD, Australia, (169-169). 12-15 August, 2013. Kidd, L. I., Quigley, S. P., McLennan, S. R. and Poppi, D. P. (2013). The effect of crude protein content or level of metabolisable energy intake on skeletal growth of Bos indicus cross bred and Holstein steers. In: E. Charmely, Proceedings: Northern Beef Research Update Conference 2013. Northern Beef Research Update Conference 2013, Cairns, QLD, Australia, (173-173). 12-15 August, 2013. Harper, K. J., Panjaitan, T., Gulino, L.-M., Kleive, A. V., Quigley, S. P. and Poppi, D. P. (2013). The effects of spirulina algae supplementation on the rumen microbial community of beef cattle. In: Proceedings: Northern Beef Research Update Conference 2013. Northern Beef Research Update Conference 2013, Cairns, QLD, Australia, (170-170). 12-15 August, 2013. Costa, D. F. A., Isherwood, P., Quigley, S. P., McLennan, S. R., De Souza, J., Gibbs, J., Sun, X. Q. and Poppi, D. P. (2013). The fatty acid profile and retention time in the rumen of cattle grazing tropical grasses. In: 2013 Annual Meeting Abstracts: American Dairy Science Association®, American Society of Animal Science. JAM 2013: Joint ADSA-ASAS Annual Meeting, Indianapolis, IN, U.S.A., (92-93). 8-12 July, 2013. Costa, D., Isherwood, P., Quigley, S. P. and Poppi, D. P. (2012). Microbial protein production and rumen function in Bos indicus cattlefed algae and cottonseed meal. In: M.A. Friend and G.L. Krebs, Proceedings of the 29th Biennial Conference of the Australian Society of Animal Production. 2nd Australian and New Zealand Societies of Animal Production Joint Conference, Christchurch, New Zealand, (4-4). 2-5 July 2012. Quigley, S. P., Dahlanuddin, Poppi, D. P., Susmaningsih, B. R., Ali, M. and Nattrass, G. S. (2012). Sexual dimorphism and coat colour in Bali cattle. In: M. A. Friend and G. L. Krebs, Proceedings of the 29th Biennial Conference of the Australian Society of Animal Production. 2nd Australian and New Zealand Societies of Animal Production Joint Conference, Christchurch, New Zealand, (25-25). 2-5 July 2012. Costa, D. F. A., Isherwood, P. I., Quigley, S. P., Vieira, B. V. and Poppi, D. P. (2011). Intake and digestibility of spear grass hay by steers supplemented with algae. In: Northern Beef Research Update Conference (NBRUC 2011), Darwin, NT, Australia, (139-139). 2-5 August 2011. Farmer, T., Cowley, T., Streeter, S. J., Perkins, N., Quigley, S. P. and Poppi, D. P. (2011). Live weight gain of weaner steers selected on growth rate after weaning and fed Cavalcade (Centrosema pascuroum) or Mekong grass (Brachiaria brizantha) hay. In: Proceedings of the Northern Beef Research Update Conference. Northern Beef Research Update Conference (NBRUC 2011), Darwin, NT, Australia, (). 2 - 5 August 2011. Martinez, E. D., Quigley, S., Streeter, S., Poppi, D. P., Swain, T., Klieve, A. V. and Ouwerkerk, D. (2011). Relationship between rumen bacterial populations and post-weaning live weight gain in steers selected on different growth rates in the Northern Territory. In: Northern Beef Research Update Conference, Darwin, Australia, (). 2 - 5 August 2011. Costa, D. F. A., Isherwood, P. I., McLennan, S. R., Poppi, D. P. and Quigley, S. P. (2010). Chemical composition and In vitro degradability of various algae species and protein supplements commonly fed to ruminants. In: Proceedings of the Australian Society of Animal Production. 28th Australian Society of Animal Production Biennial Conference, University of New England, Armidale, New South Wales, (61-61). 11-15 July 2010. Saili, T., Marsetyo, Poppi, D. P., Isherwood, P., Nafiu, L. and Quigley, S. P. (2010). Effect of treatment of cocoa-pods with Aspergillus niger on liveweight gain and cocoa-pod intake of Bali (Bos sondaicus) cattle in Southeast Sulawesi. In: Proceedings of the 28th Biennial Conference of the Australian Society of Animal Production. 28th Biennial Conference of the Australian Society of Animal Production, Armidale, NSW, Australia, (52-52). 11-15 July 2010. Pham, C. H., Quigley, S. P., Isherwood, P., McLennan, S. R. and Poppi, D. P. (2010). Growth of young and mature cattle fed ryegrass haylage or concentrate based diets. In: Proceedings of the 28th Biennial Conference: Abstracts of Papers in Animal Production Science. Australian Society of Animal Production 28th Biennial Conference, Armidale, New South Wales, (9-9). 11-15 July 2010. Dalgliesh, N. P., Nulik, J., Quigley, S. P., Poppi, D. P., Suek, J., Darbas, T. and Budisantoso, E. (2010). The use of forage legumes in cereal cropping systems in eastern Indonesia. In: Food Security from Sustainable Agriculture. Proceedings of the 15th Australian Society of Agronomy Conference, Lincoln University, New Zealand, (). 15-18 November 2010. Natrass, G. S., Dahlanuddin, Poppi, D. P. and Quigley, S. P. (2009). Sexual dimorphism of genes regulating skeletal muscle growth in Bali cattle. In: Alex Safari, Bill Pattie and Barrie Restall, Proceedings of the 18th Conference of the Association for Advancement in Animal Breeding and Genetics: Matching genetics and the environment: A new look at an old topic. 18th Conference of the Association for Advancement in Animal Breeding and Genetics, Barossa Valley, Australia, (18-21). 28 September - 1 October 2009. Turnbull, K. E., Quigley, S. P., Kidd, J. F., McLennan, S. R. and Poppi, D. P. (2008). Differences in utilization of low-quality hay between cattle selected on growth rate after weaning. In: ASAP Proceedings: Animal Production in Australia. 2008 Australia and New Zealand Societies of Animal Production First Joint Conference, University of Qld, Brisbane, Australia, (53-53). 23-27June 2008. Marsetyo, Quigley, S. P. and Poppi, D. P. (2008). Effect of Aspergillus niger and urea on the crude protein and neutral dethergent fibre content of cocoa-pods in Central Sulawesi, Indonesia. In: Dave Barber, Proceedings of the Australian Society of Animal Production. Australian and New Zealand Societies of Animal Production First Joint Conference (2008 ANZSAP), St. Lucia, Queensland, (59-59). 23 - 27 June 2008. Bevan, B. A., Wang, Y. H., Quigley, S. P., Poppi, D. P. and Pethick, D. W. (2008). Optimisation of in vitro conditions for the differentiation of primary stromal vascular cells from Wagyu cattle. 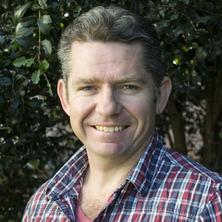 In: Dave Barber, Proceedings of the Australian Society of Animal Production. Australian and New Zealand Societies of Animal Production First Joint Conference (2008 ANZSAP), St. Lucia, Queensland, (46-46). 23 - 27 June 2008. Panjaitan, T., Quigley, S. P., McLennan, S. R., Swain, T. and Poppi, D. P. (2008). The intake, retention time in the rumen of grasses varying in crude protein content fed to Bos indicus steers. In: Proceedings of the Australian Society of Animal Production. Australian and New Zealand Societies of Animal Production First Joint Conference (2008 ANZSAP), St. Lucia, Queensland, (58-58). 23 - 27 June 2008. Quigley, S. P., Kleemann, D. O., Bates, K. and Scott, Q. (2000). Adaptability of Damara, Dorper and traditional meat sheep breeds in semi-arid Queensland. In: Animal Production for a Consuming World Vol. C. 9th Congress of the Asian-Australasian Association of Animal Production Society, Sydney, NSW, (174-174). 3-7 July 2000. Rose, M., Bright, R. L., Quigley, S. P. and Kleemann, D. O. (2000). Fibre transfer in Merino ewes mated with Damara, Merino or Dorper rams in central western Queensland. In: Animal Production for a Consuming World Vol. C. 9th Congress of the Asian-Australasian Association of Animal Production Society, Sydney, NSW, (176-176). 3-7 July 2000. Mills, A. W., Quigley, S. P., Bright, R. and Kleemann, D. O. (2000). Growth and carcase characters of progeny from caprine feral does mated to Boer or feral bucks in western Queensland. In: Animal Production for a Consuming World. 9th Congress of the Asian-Australasian Association of Animal Production Society, Sydney, NSW, (175-175). 3-7 July 2000. Kleemann, D. O., Quigley, S. P., Bright, R. and Mills, A. W. (2000). Reproductive performance of caprine feral does mated to boer or feral bucks in semi-arid Queensland. In: Animal Production for a Consuming World. 9th Congress of the Asian-Australasian Association of Animal Production Society, Sydney, NSW, (123-123). 3-7 July 2000. Kleemann, D. O., Quigley, S. P., Bright, R. and Scott, Q. (2000). Survival and growth of Damara, Dorper, Dorset, Rambouillet, South African Meat Merino first cross lambs in semi arid Queensland. In: Animal Production for a Consuming World Vol. C. 9th Congress of the Asian-Australasian Association of Animal Production Society, Sydney, NSW, (173-173). 3-7 July 2000. Note for students: Dr Simon Quigley is not currently available to take on new students.